This week’s photo challenge is “blur“. To my mind blur in an image can represent speed or can be used to direct the viewer to a single point in the image through use of depth of field. 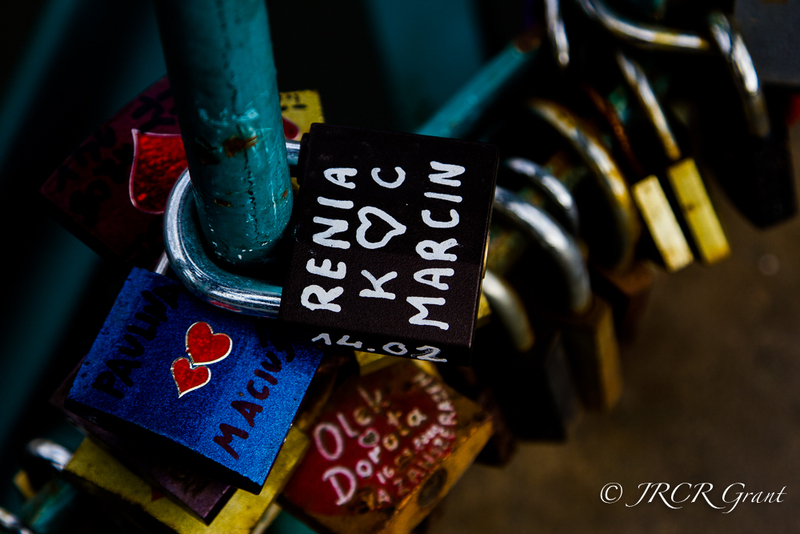 In this example blur has been used through using a short depth of field to render the focus on the top lying padlock. Had the other padlocks been in sharp focus too, the eye would wander along the lines of the bridge. This image was taken on Tumski Bridge in Wroclaw, Poland. More images of Tumski Bridge can be seen in my second post of the day.